Kids will now be able to enjoy the comfort that adults experience with a comfortable recliner that was made just for them! This chair features a strong wood frame with soft foam and then enveloped in durable leather upholstery for your active child. Choose from an array of colors that will best suit your child's personality or bedroom. 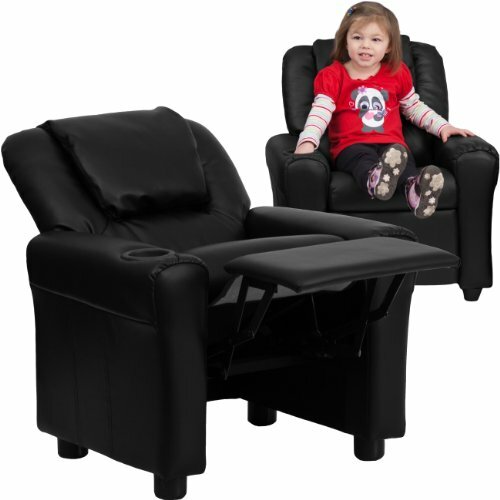 This petite sized recliner is highlighted with a cup holder in the arm to rest their drink during their favorite show or while reading a book. If you have any questions about this product by My Friendly Office, contact us by completing and submitting the form below. If you are looking for a specif part number, please include it with your message.